POSP 3-9x42 PRO 1000 Meter Rangefinder, AK Version. The all new POSP PRO model is the latest iteration with a variety of upgrades. The new styling and larger, easier to use, windage and elevation turrets add a new level of user comfort. 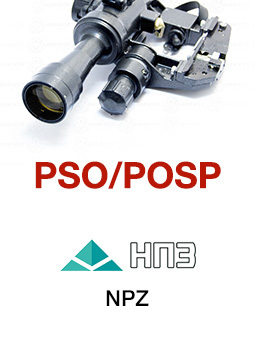 POSP 3-9x42 Zoom Rifle Scope w/ 1000 Meter Rangefinder, AK Version. Pro Turrets with Variable Illumination. The POSP series is world famous for its quality and is current military issue for the Red Army. It is built battlefield-tough from magnesium alloy and has fully multi-coated optics. 1000m Dragunov marked metering grids, these illuminated reticule scopes allow you to determine kill distance as well as to track and observe game in the field. The military reticles have an extremely effective and useful height-based rangefinder for dual use, with graduated scales for both standing and prone figure estimation. The 1000 meter Dragunov height based gradient (choke style) rangefinder has extended distance inverted chevrons providing aiming points for 1000, 1100, and 1200 meters when used with the 7.62x54R caliber. Since the range calibrations for both the AK and SVD versions on both the 1000 meter Dragunov. They are particularly effective for .308 caliber weapons which require longer range reticles to make full use of their capabilities. The POSP features a red illuminated reticle which allows you to make perfect kill shots in dusk conditions. Illumination is provided by a simple diode; check our Accessories section for a variety of replacement diodes in various colors. VariPOSP models have five brightness settings for greater flexibility in dawn, dusk and dark and the key upgrade in the PRO line is the finer MOA increments giving you much greater precision when zeroing. All POSP's feature professionally ground, crystal clear optics, nitrogen filling to prevent lens fogging, and larger diameter tubes for improved light gathering under the most severe conditions. 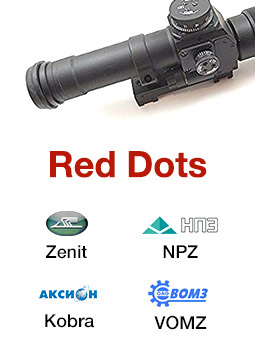 Probably the best scope, dollar for dollar, in the world, it is waterproof and can be used in any climate condition. It comes with a high quality mil-spec finish, and with everything shown in the picture: rubber lens cap, eye piece, and nylon carrying case. If you want the look and performance of a true POSP and place a premium on shooting comfort, this is your best choice. 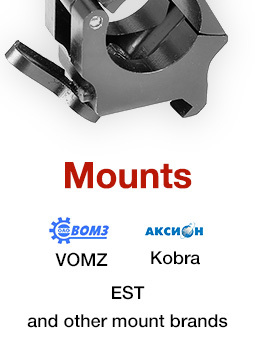 The AK V clamp can easily be mounted to any of these rifles with the standard side rail: AK-47, AKM, AK-74, Vepr, Saiga, K-var, KBI, Hesse, Century and Arsenal USA copies, Romak1/2, SLR-93, SLR-95, SLR-101, MK-11, SAR, WUM, SA85M, WASR (check for installed rail), Maddi, Norinco and Poly-Tech copies. The POSP series uses standard, readily available watch batteries. 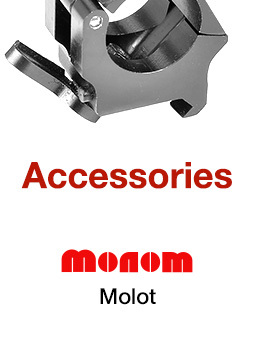 Side rails, replacement mount bottoms and batteries can be found in our Accessories section.